Virgin and martyr whose story is know to us from a collection of legends, but no contemporary history. Her father was a pagan priest in Pisidian Antioch, Asia Minor (modern Turkey). Her mother died when Margaret was an infant, and the girl was raised by a Christian woman. Margaret's father disowned her, her nurse adopted her, and Margaret converted, consecrating herself and her virginity to God. One day a Roman prefect saw the beautiful young Margaret as she was tending sheep, and tried to get her into his bed. When she refused, the official denounced her as a outlaw Christian, and she was brought to trial. When she refused to sacrifice to the pagan gods, the authorities tried to burn her, then boil her in a large cauldron; each time her prayers kept her unharmed. She was finally martyred by beheading. Part of her story involves her meeting the devil in the form of a dragon, being swallowed by the dragon, and then escaping safely when the cross she carried irritated the dragon's innards; this accounts for this virgin's association with pregnancy, labour, and childbirth. She was one of the saints who appeared to Saint Joan of Arc. One of the Fourteen Holy Helpers. Desert hermit in Egypt in the late 3rd and early 4th-century. Priest. Spiritual student of Saint Macarius the Great. The only times he would leave his hermit‘s cell was to attend Mass at a church 5 miles away on Saturday night and Sunday monring; he would carry back a bucket of water that was all the water he would consume until the next trip to Mass. During the persecutions of Diocletian, governor Hadrian sent troops to bring in Paphnutius; the hermit heard they were coming, went to the governor on his own, and made a public profession of Christianity. He was imprisoned and tortured to get him to give up his faith; he faith was so strong that he converted forty fellow prisoners (who were burned to death) and two of his torturers, Dionysius and Callimachus (who were beheaded). 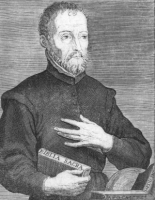 Released, Paphnutius was taken in by a local Christian name Nestorius, and spent his day preaching and teaching to the man’s family and anyone else who would listen; at least 546 people were brought to the faith, all of whom were later martyred. Hadrian finally sent the troublesome hermit to Diocletian whose forces finally killed him. Martyr. 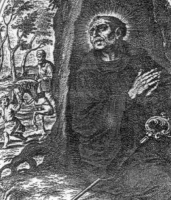 Paphnutius is most famous for his accounts of the lives of many holy hermits of the Egyptian desert, including Saint Onuphrius. Old Testament prophet. He announced to Achad, King of Israel, who under the influence of his Tyrian wife Jezabel had erected a temple to Baal, that Jehovah had determined to avenge the apostasy of Israel by bringing a long drought on the land. During the drought which lasted three years, Elias withdrew to the vicinity of the brook Carith, where he was fed by the ravens. After the brook had dried up he crossed over to Sarepta, where he was hospitably received by a poor widow, whose charity he rewarded by increasing her store of meal and oil and by raising her child to life. At length he once more confronted the king and challenged the prophets of Baal to a contest on Mount Carmel, when Elias's oblation was consumed by fire from heaven, and the false prophets were slain by the people at his command. He was obliged to flee from the wrath of Jezabel and while on Mount Horeb was commissioned by Jehovah to anoint Hazael to be King of Syria, Jehu to be King of Israel, and Eliseus to be his own successor. Subsequently he denounced Achab for the murder of Naboth and reprimanded Ochozias and Joram, King of Juda. While conversing with Eliseus on the hills of Moab he was translated to heaven in a fiery chariot. The Carmelite Order traces its origin to him. An apocryphal Apocalypse of Elias was partly recovered in a Coptic translation. Nun, a member of the Sisters of Charity of the Sacred Heart of Jesus, as was her sister Luisa. On the recommendation of the Order's fonder, Rita was chosen superior of the Sisters in 1900; she served in that position for 28 years. Started schools for girls, especially in the poorest areas, and was know for her care for the sick, especially fellow Sisters. Retiring to the Saint Susanna convent in Madrid, Spain, she worked the convent's college. In the persecutions of the Spanish Civil War, many fled, but Rita, 83 years old and nearly blind, stayed to care for orphans and those in hospital. Grabbed by a anti–Christian revolutionaries while she was in prayer in chapel, she was taken out of Madrid and executed. Martyr. Member of a noble Saxon family. Grandson of Athelbero, Count Palatine of Saxony. Orphaned at an early age. Raised by his uncle Volkmar, bishop of Utrecht, and educated at the cathedral school at Heidelberg, where he was a schoolmate of Blessed Meinwerk of Paderborn and at Mainz. Ordained at Mainz. Imperial chaplain and tutor to the future Emperor Otto III beginning in 987. Bishop of Hildesheim, Germany from 993 till 1020. Encouraged the arts; commissioned religious paintings and sculpture, refurbished existing buildings, built new ones (thus his patronage of the builder's arts), and made altar vessels of gold and silver by hand, and dabbled in architecture and ornamental ironwork. His rule was marked with peace, and around 1020 he retired to a Benedictine monastary to spend his remaining days in prayer. Brother of Saint Aedeius. Student of the philosopher Meropius. While on a voyage on the Red Sea, their ship wrecked on the Ethiopian shore, and only Frumentius and Aedeius survived. They were taken to the king at Axum as a curiosity, and became members of the court, Frumentius serving as secretary. When the king died they stayed as part of the queen's court. She permitted them to introduce Christianity to the country, and open trade between Ethiopia and the west. Frumentius convinced Saint Athanasius of Alexandria to send missionaries from Alexandria, Egypt, and was himself consecrated as bishop of Ethiopia. Converted many, including the princes Ezana and Sheazana, and established a firm foothold in Ethiopia for the faith. Mentioned in the Acts of the Apostles. Spiritual student of Saint Peter the Apostle. First bishop of Ravenna, Italy; as such he faced nearly constant persecution. He and his flock were exiled from Ravenna during the persecutions of Emperor Vespasian. On his way out of the city he was identified, arrested as being the leader, tortured, and martryed. Noted miracle worker. Centuries after his death he appeared in a vision to Saint Romuald. A disciple of Jesus. Mentioned in Acts as the other candidate for the 12th Apostle's position, the one vacated by Judas Iscariot. The lot fell to Saint Matthias. One of six children born to a farming family; his father died of pneumonia when the boy was very young. Due to a childhood illness, one of his legs was several inches shorter than the other, requiring him to wear special shoes all his life. Priest in the Diocese of Frascati, Italy, ordained on 17 December 1938. Had degrees in theology and canon law, but always found time for what he considered his primary work, ministering to the sick. Founded the Priestly Marian League in 1943. With Sister Elvira Myriam Psorulla, he founded the Volunteers of Suffering in 1947. Founded the Silent Workers of the Cross in 1950. Founded the Brothers and Sisters of the Sick in 1952. Court page to King Philip II, Gregorio was well educated, especially in the sciences of his day. He lived six years as a hermit in the Navarre region of Spain before moving to Mexico in 1562 where he lived as a hermit among the natives near Zacatecas and the area of modern Mexico City. Because he was being sought out for spritiual guidance by local people, the archbishop of Mexico City had him examined for fidelity to the faith; the bishop and his priests were impressed with the man’s knowledge, piety and wisdom. This only increased the number of people who sought him out, so Gregorio withdrew to the small village of Santa Fe where he lived his remaining days in solitude. Devotion to him is widespread throughout Mexico, and his canonization cause has been pursued since 1620. Teenaged layman convert in the apostolic vicariate of Southeastern Zhili, China who was still a catechumen when, during an anti-Western riot, he was dragged into the town square and murdered for being a Christian during the Boxer Rebellion. Martyr. Lay woman in the apostolic vicariate of Southeastern Zhili, China. Teacher. Turned over to the pagan persecutors in the Boxer Rebellion, she publicly prayed to Christ, and was immediately murdered. Martyr. Dominican priest, ordained on 23 March 1844. Missionary to Manila, Philippines, and then to Viet Nam. Coadjutor vicar apostolic of Central Tonking, Viet Nam and titular bishop of Plataea on 5 September 1848. Martyr. Benedictine monk at Fontenelle Abbey, France at age 18. Entrusted by Charlemagne and Louis le Débonnaire with the reform and restoration of the monasteries of Saint Sixtus, Saint Memius, Flay, and Luxeuil. He codified the laws of Charlemagne and Louis in the Capitulars. Abbot of Fontenelle; the monastery became famous for learning, discipline, and its library. He divided the riches he obtained from his diplomatic missions among various monasteries. Nun, a member of the Sisters of Charity of the Sacred Heart of Jesus. Martyred in the Spanish Civil War. Uncle of Saint Eremberta of Wierre. Priest. Monk. Founded a convent at Wierre-aux-Bois, France and the monastery of Samer near Boulogne, France that was later renamed Saint-Vulmaire in his honour. Deacon in Moorish-occupied Cordoba, Spain. Monk at the Saint Zoilus monastery in Cordoba. Had a special ministry caring for Christians imprisoned for their faith by the Muslims. Martyr. Dominican priest. Martyred in the Spanish Civil War. Born a princess in Mercia (in modern England). A queen, married to King Alfred the Great of West Saxons. Widowed in 899, she became a nun and later abbess at a convent she had founded in Winchester, England. Bishop of Carthage in North Africa. Worked with Saint Augustine of Hippo. One of the first to denounce the heresy of Pelagianism. Dominican cleric. Martyred in the Spanish Civil War. Married, he was known in his community as an honourable and upright man. Rorice one day had a conversion experience that led him to complete devotion to God and a more religious life. 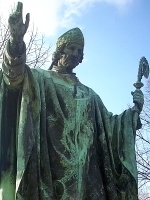 Bishop of Limoges, France in 484. Educated at the monastery of Saint Saba where he became a monk and then abbot. Sister of Saint Modoald of Trier. Nun. First Abbess of Saint Gemma convent in Villeneuve, France; it was later renamed Sainte-Sevère in her honour. The memorial has long been celebrating in the diocese of Auch, France, and the town of Sainte-Mère, France appears to have been named for this person, but no information about them has survived. Abbess of the convent of Oehren in Trier, Germany. 16 Christians who were martyred together. We know the names of six of then, but no details about any of them – Cassia, Julian, Macrobius, Maximus, Paul and Sabinus. 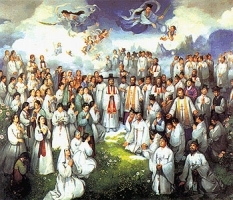 Eight lay native Koreans in various states of life who were murdered together for their faith. Married lay woman and her two daughters in the apostolic vicariate of Southeastern Zhili, China. During the persecutions of the Boxer Rebellion, the three of them hid in a well to avoid being raped. They were found, dragged out, and killed for being Christian. Martyrs. They were - Maria Zhao Guoshi (mother), Maria Zhao and Rosa Zhao (sisters). Two Jesuit missionary priests and two local lay people who supported their work who were martyred together in the Boxer Rebellion during and immediately after Mass.